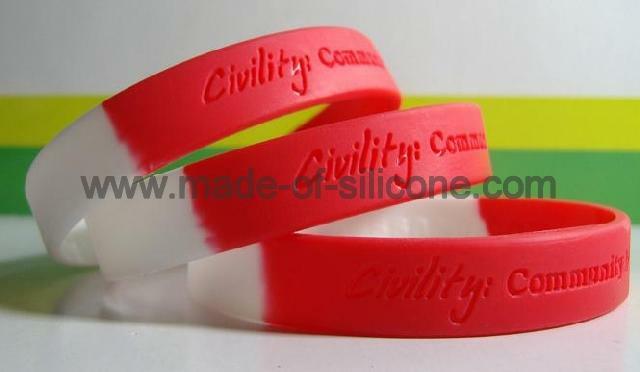 Manufacture 2,3,4,5,6,colors segmented silicone wristbands. 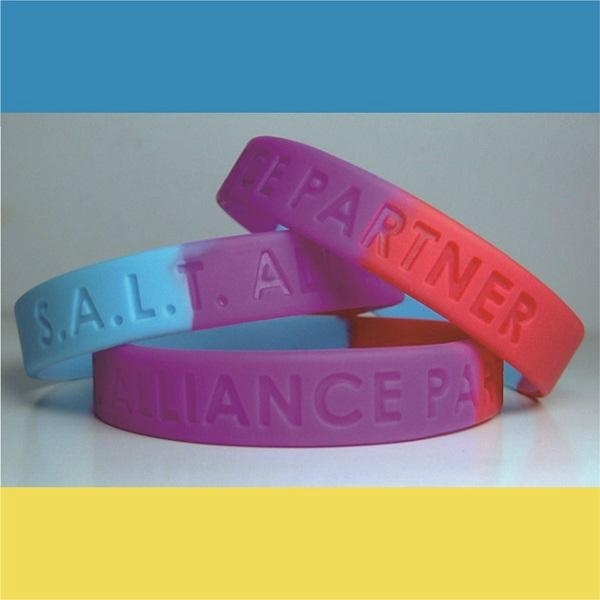 Any message and/or logo can be printed, debossed ,embossed or color filled all around it. Size reference : 230*12*2mm ,202*12*2mm, 200*12*2mm, 190 *12*2mm , 180*12*2mm 150*12*2mm . 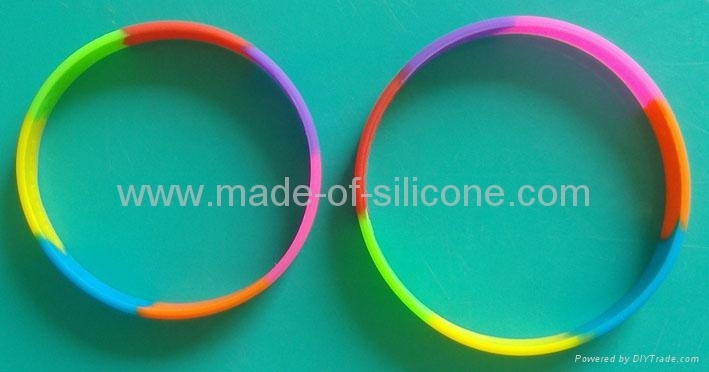 PRICING: for blank bands , unit price is US$0.08-0.10/pc. diffrent segmented colors. for debossed logo , mould cost US$30-50 is added. Packing︰ 100pcs/boly bag. 2500/box (36X35X31). 15kg/box.